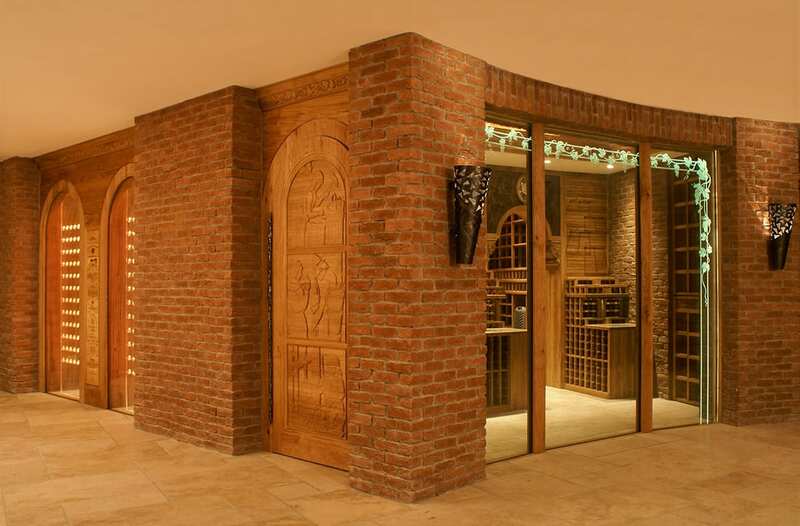 One of the largest and most prestigious wine cellars by FWC is the wine cellar built for the residence of a Head of State in Asia. 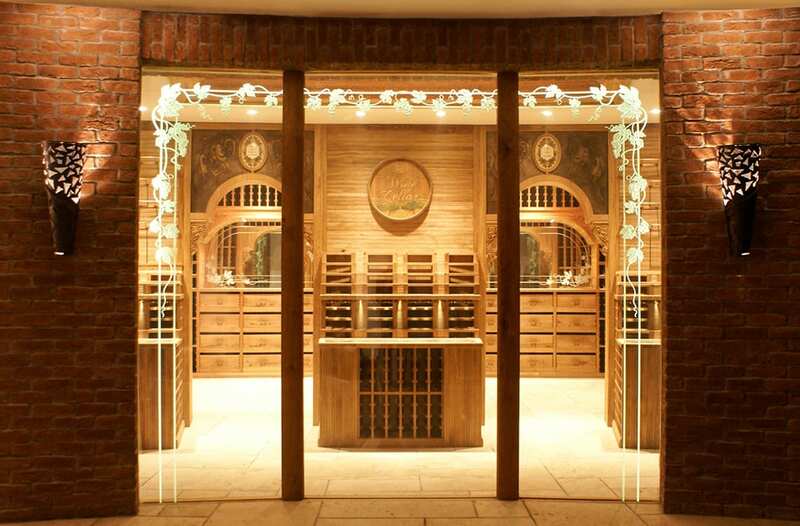 When a cellar needs to be an element of prestige, the amount and quality of ornaments involved becomes crucial. FWC collaborates in such cases with world renowned artists and craftsmen. The wine barrel head above the cascade unit, for instance, is carved and painted by an artist in California who does his work directly in the vineyards there. 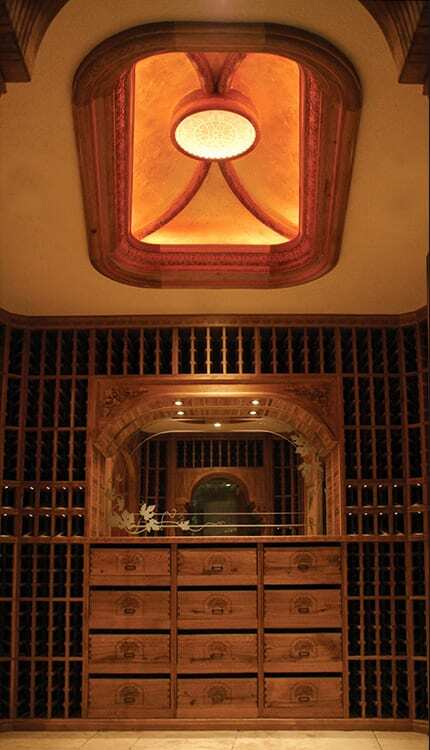 Some of the ornamentation is especially designed for this wine cellar by FWC, such as the bronze cast plates above the arched passages which are the only two of two made by a famed sculpturer. 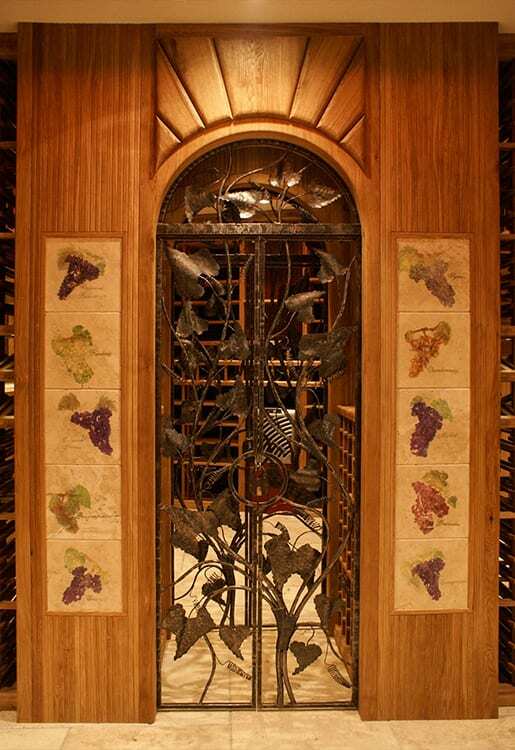 The vine leaf decoration on the glazing is hand-made by a famous glass artist who uses an unequaled etching technique. These glass etchings are three-dimensional and so delicate that the glass becomes as thin as 1 mm in parts. On the entrance façade, the wine box panels are provided by an FWC business partner in Canada and arranged by FWC. 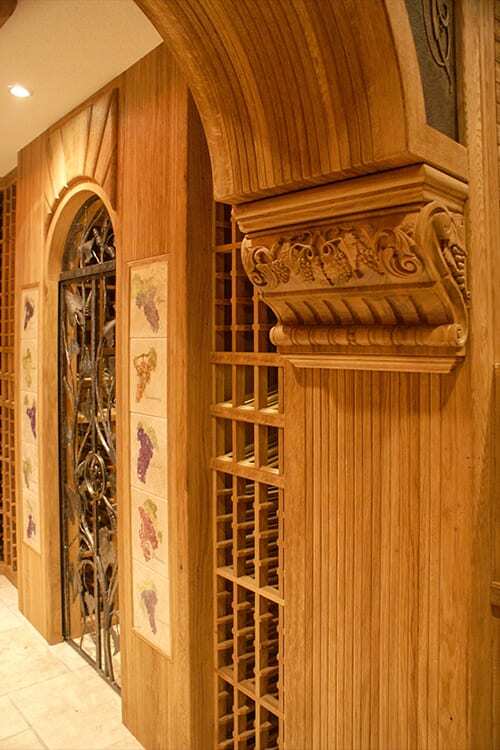 The door of this private wine cellar is decorated with hand carved panels with vintage themes and wrought iron door hinge and handle. 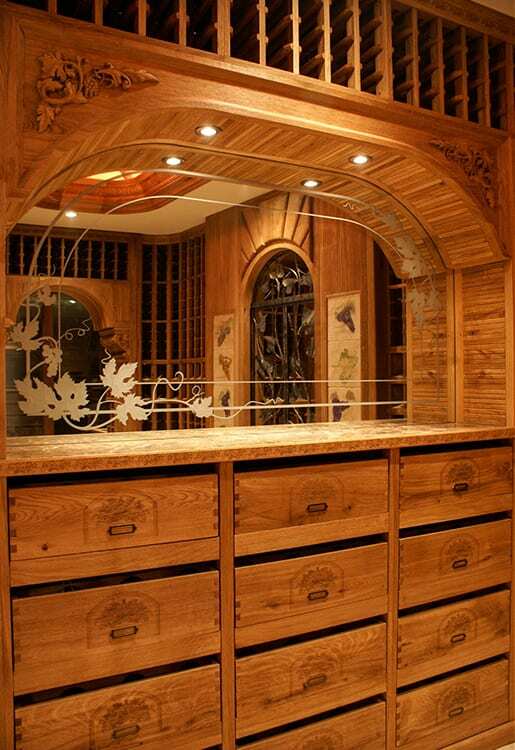 All wood carvings on the walls and ceilings are made by hand by highly skilled craftsmen. 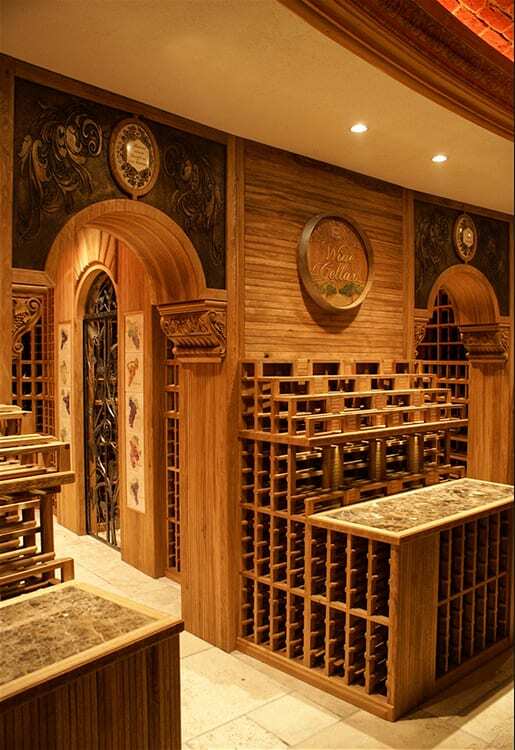 Looking at the cross vault alone, its incredible woodwork and the detail of the carvings, the refinement of the gold leaf and the etched glass luminary, is enough to judge the incredible amount of work that embellishes a Premium Class wine cellar by FWC.